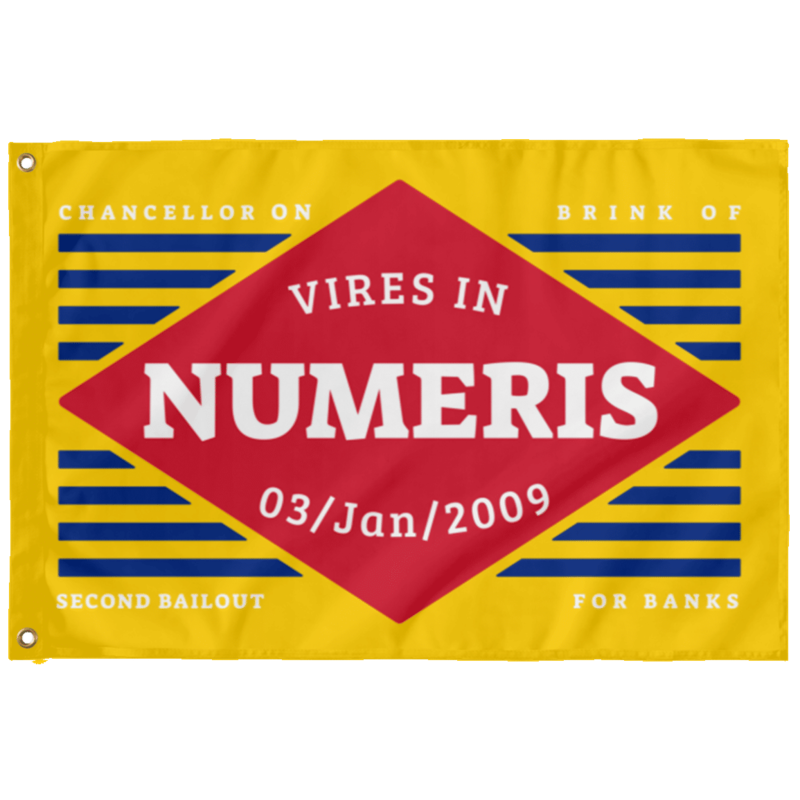 Bitcoin, Vires in Numeris wall flag. 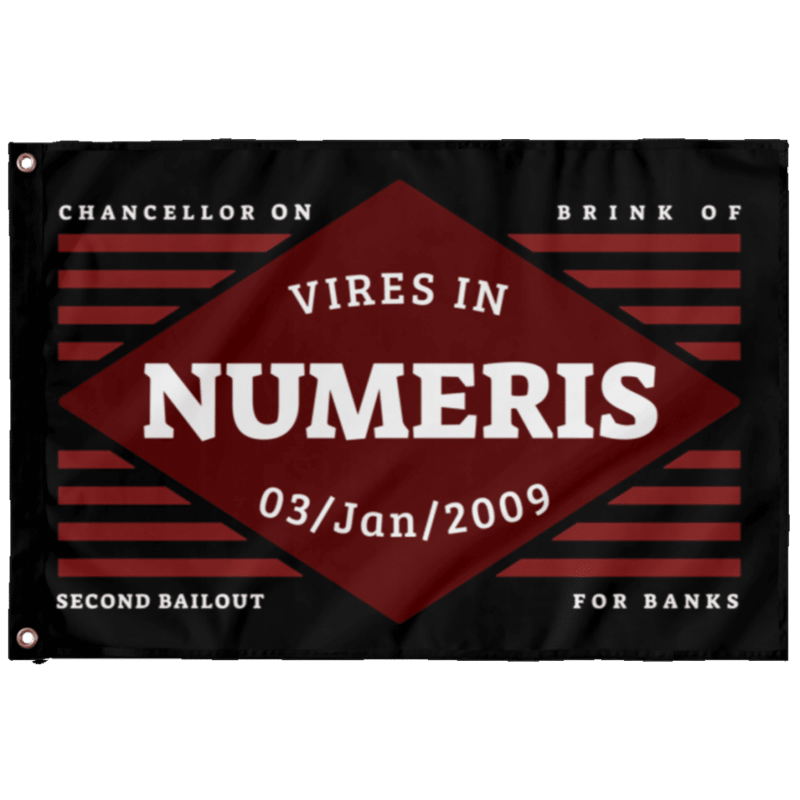 Bitcoin, Vires in Numeris wall flag. Available in 2×3 ft and 3×5 ft size. Printed with dye-sublimation to ensure vibrant color quality. Multiple variants available. Our brand-new wall flags are 100% made out of polyester; single sided print. Comes with two metal grommets to hang the flag immediately. 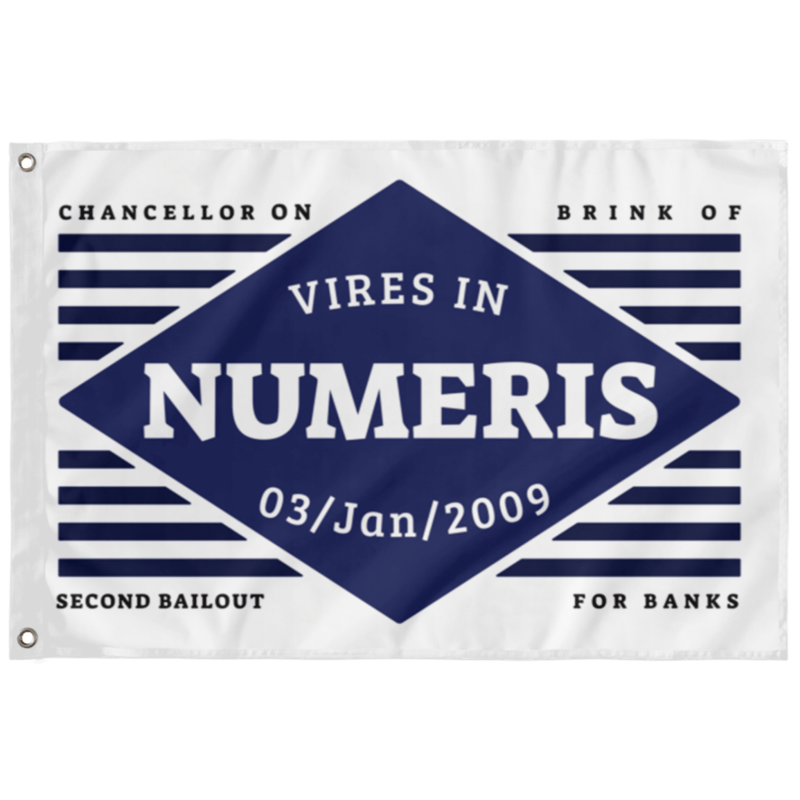 A great addition to the other flags I purchased.